Seersucker suits are one of the interesting suit varieties that men have in their wardrobe selection list. Anything that is easy to maintain is what men would like, right from their car to what they wear, men like it to be easy but look good and supply everything that they want. 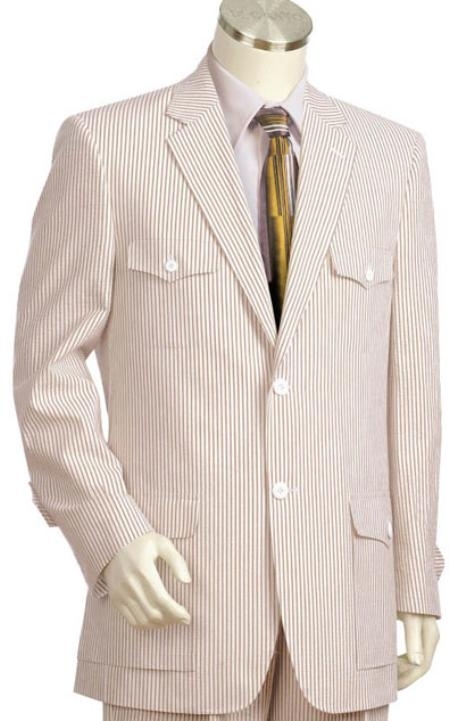 If you are a man who wants, comfort, easy maintenance, good price, stylish and skin friendly suit that is best for summer season, you will not miss to own one seersucker suit. Seersucker is a full cotton fabric that is just the right kind of selection for summer time, though this fabric was poor men's choice earlier, we are able to see high fashion casual and suits made up of this fabric variety. Seersucker is just the right choice if you don't want to spend time in ironing your suit before wearing them. Are you a busy man who has no time to spend during your jam packed schedule? Seersucker is capable of giving you a tension free smart look. You just have to wear them straight from your wardrobe or from the wash after it is dried up. The special patterned look of the fabric is good enough to make you look presentable as it has naturally crushed texture that adds on to the fashion quotient. 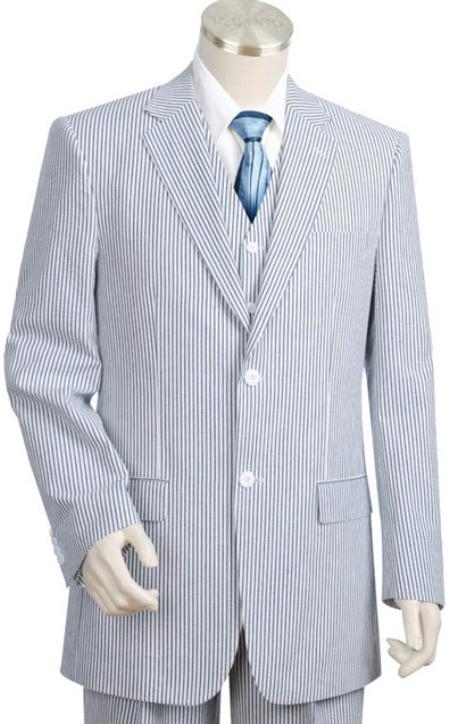 Seersucker suits are famous in their typical color choice that combines green with white stripes and blue with white stripes. Today we are able to fine seersucker fabrics in many other color combinations due to the changes in the fashion industry but, the tradition styles seem to be the best all the time. Apart from this, you will be happy to wear a seersucker suit just because they are great to be felt on your skin. It's soft, and allows a lot of air circulations that make the wearer feel cool and comfortable even during hot summer days.